What is today the University of Washington's Paul G. Allen School of Computer Science & Engineering was established by the University of Washington Board of Regents as the Computer Science Group - an inter-college graduate program reporting to both the Dean of Arts & Sciences and the Dean of Engineering - in March 1967. Jerre Noe was hired from SRI as our first chair in 1968. 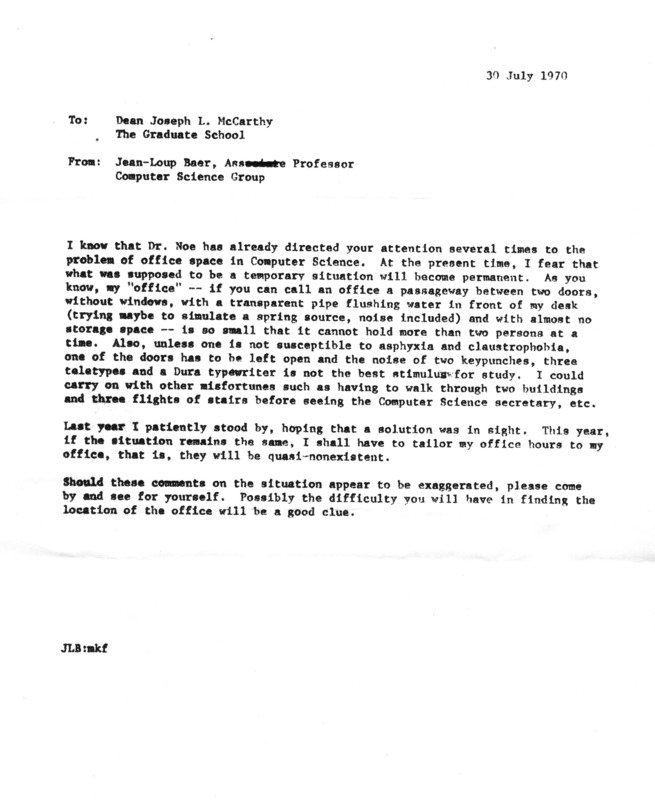 In 1973, Jerre proposed the establishment of a Department of Computer Science and the introduction of an undergraduate major program. The Regents approved the establishment of the Department of Computer Science in September 1974, and the undergraduate major was launched at the start of the 1975-76 academic year. In 1979, our reporting relationship was changed at the request of the Provost so that we became a unit of the College of Arts & Sciences exclusively. In 1989, a different Provost decided that we should be a unit of the College of Engineering. A Computer Engineering undergraduate program was added at that time, and our name was changed to the Department of Computer Science & Engineering. A Professional Masters Program - a part-time, evening/distance program for fully-employed professionals - was added in 1996. A five-year combined bachelors/masters program was added in 2008. 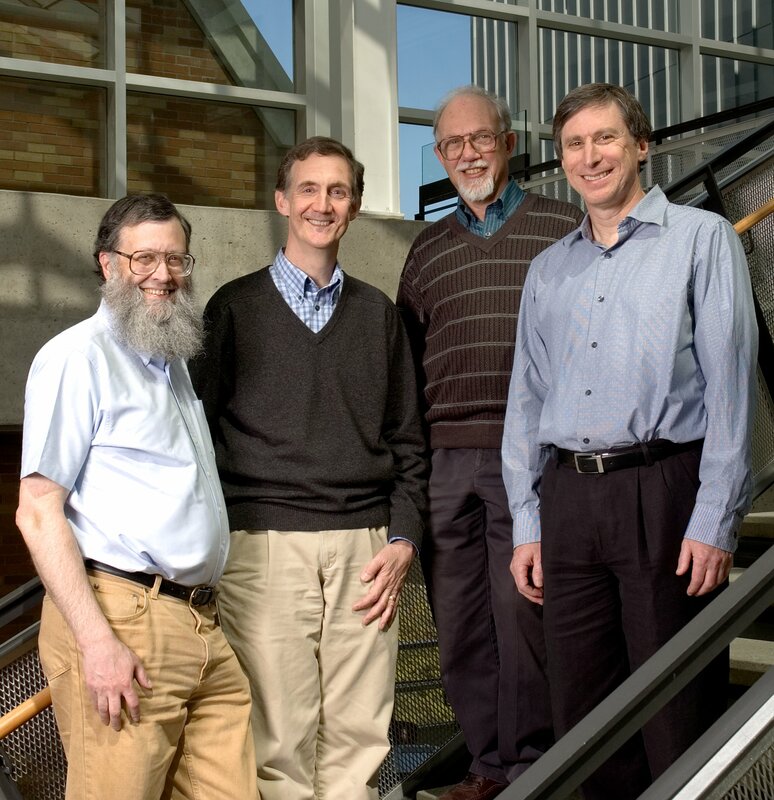 And on March 9 2017 - our 50th anniversary - the University of Washington Board of Regents voted to create the Paul G. Allen School of Computer Science & Engineering, elevating the status of CSE within the university and linking us in perpetuity with the internationally renowned investor, philanthropist and computing pioneer. The Computer Science Group was housed in the basement of Roberts Hall - "the mining buiding." In 1975, when departmental status was conferred, we were relocated to Sieg Hall. In 2003 we moved to the Paul G. Allen Center for Computer Science & Engineering, more than doubling our total space and more than tripling our laboratory space. In January 2017, construction began on a second building which will again double our space; completion is scheduled for late 2018. This website represents an initial attempt to catalog just a bit of the rich history of the program.